In Xiamen and Quanzhou, Nanyin Music has close ties with ancient imperial music,Buddhist music, poetic rhythm, and drama tune. For hundreds of years it has been handed down by oral instruction and spread from Quanzhou to other parts of Fujian,Taiwan Province, and among overseas Chinese in Southeast Asia and Europe. Here we have a detailed and comprehensive tourist map of Gulangyu Island, clearly showing the layout of the scenic area with mapping all roads, and marking the location of tourist attractions in this area vividly with beautiful pictures. This map can be a great guide for your tour of Gulangyu Island, which is located opposite to the urban Xiamen City, has won the reputation of "Garden on the Sea". Besides, there is a list of seven necessary things to do on the Island. The meet of two lovers who can only happen once a year , a sad and beautiful story from ancient China , still influences China and Overseas Chinese nowadays . Paul James, global brand leader at St. Regis Hotels and Resorts, estimates that he spends no less than 150 nights a year in hotel rooms. His experience goes well beyond his own company's brand; he often checks out the competition by staying at other hotels. Over time, Mr. James has developed anumber of tricks to make sure his hotel stays are comfortable. For instance, after booking a room online, he immediately follows up with a phone call to the hotel's concierge. His aim: to request a room that will suit him. 'Unless you're at an airport hotel, you'll find that there are a vast number of shapes and designs of rooms within the raft of standard or deluxe rooms,' he says. Sometimes he wants to ensure there's a large work table; occasionally, he wants extra room with a crib for his son. And because he's over six feet tall, he always makes sure to ask for a king-sized bed. In London, the World's New 'Most Expensive' Home? It looks like Candy Spelling has been one-upped. 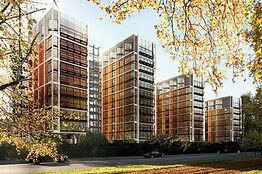 A six-bedroom penthouse at London's tony One Hyde Park commanded £140 million, or about $220 million, Luxist reports. And this deal comes before the four-building project is even complete: It is due to be finished by the end of the year. According to Luxist, that makes it world's priciest piece of residential real estate-when measuring current listings and sales-pushing Ms. Spelling's $150 million asking price for her bigger-than-big Los Angeles mansion down a slot. The deal also makes the U.S. look, well, like a bargain: In what is believed to be the biggest residential sale, a Texas executive paid $46.5 million for a 3,500-acre Colorado ranch earlier this year. 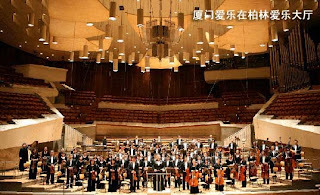 Xiamen Philharmonic Ochestra updated its August's hit concert , the Chinese Valentine's day concert . 19:30:00pm 16August . All you have to do is to buy the ticket and listen to the first counter tenor in China , Xiao Ma. BEIJING, July 27 (Xinhuanet) -- China is planning to accelerate a mechanism with which to strip poorly run hotels of their star rankings in order to protect the image of all the 15,000 star-rated hotels across the country, a top tourism official said on Monday. Anonymous customers' opinions will be considered for the first time along with those of industry experts when evaluating a star-rated hotel's qualification, said Du Jiang, deputy head of the National Tourism Administration of China. Hotels already endowed with a star status will be subject to quality checkups every three years, instead of the current five year period aimed at identifying problems and fixing them, he said. The news came days after the announcement that the Hilton Chongqing was to be stripped of its five-star status for reportedly permitting a venue for prostitution to operate on its premises. The announcement, posted on the administration's website last Friday, said the hotel's actions have "seriously damaged the image of China's star-rated hotels and generated a bad influence". Got the news from Whatsonxiamen.com , The 5th Gulangyu Piano Festival & National Youth Piano Competition kicked off 26th July to 4th August. 9 concerts will be held during the piano festival. According to the organizing committee, they will give out 660 free tickets to the public. The public can get the tickets at Gulangyu Music Hall from 9:00-11:00 & 15:00-17:00 on 23rd July, ticket booking hotline is: 0592-2065466, 2571090, every one can get 2 tickets. For August , in Xiamen there will be one more exciting concert to attend , that is the Chinese Valentine's Day Concert , August 15 . It was such a beautiful story about two lovers who has only a chance to meet each other on 7th of July of Lunar Calendar as a punishment to against lord of earth. The day happens to fall on 16th Aug this year and the concert is on 15th of Aug. 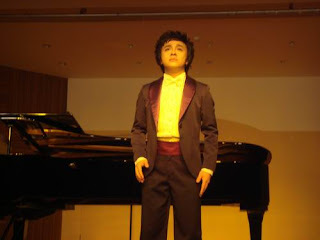 There are so many wonderful lover's solos here , the most important , is Xiao Ma, the first countertenor of China. He is someone many of you may know him from his popular video clips on the internet, in particularly, the piece he palyed as Cherubino in a modern version of Mozart's Le Nozze di Figaro (the Marriage of Figaro). 'He is the national treasure of China,' commented The Chicago Tribune. The concert covers both classic Opera solos and Chinese Lovers’ songs , Can't miss it! Back in the good old days, it was enough for a billionaire designer at the top of his or her game to own a super-yacht, a private island, a Manhattan penthouse, a Tuscan villa and a chalet in Gstaad. Not any more. To truly be a 21st century, global lifestyle superstar you need to own a hotel, as well. The Arabic meaning for the word Burj is 'tower', which is why the Burj Khalifa is also known as the 'Tower of Dubai'. The Burj Khalifa was built at an estimated cost of $1.5bn. People talk about the hotels, from here , Xiamen to the world , the most luxury ones , Burj Al Arab , the Emirates Palace Hotel and etc. What happened in 2010 , the new giant of the hotel world , the Marina Bay Sands ? From mouth to mouth , it is the hottest one of our time , now. It features a 2,560-room hotel, a 120,000 sq.m. convention-exhibition center, The Shoppes mall, an Art & Science museum, two Sands Theatres, six "celebrity chef" restaurants, two floating pavilions, a casino with 500 tables and 1,600 slot machines. The complex is topped by a 340m-long SkyPark with a capacity of 3,900 people and a 150m infinity swimming pool, set on top of the world's largest public cantilevered platform, which overhangs the north tower by 67m. The Marina Bay Sands (MBS) integrated resort celebrated its opening on 23Jun,2010 with a lavish bash, but not before its owner made an even more glittering prediction: Just as the resort's towers have transformed the skyline, the IR will 'forever change' Singapore's image and give the country's tourism industry a major fillip. Casino magnate Sheldon Adelson called the US$5.7 billion (S$7.92 billion) facility a game-changer for tourism here, and added that after all is said and done, he expects between 125,000 and 150,000 people to visit it each day, a record for parent company Las Vegas Sands' (LVS) properties worldwide. Millennium & Copthorne Hotels plc (M&C) added another star to its premiere ‘Grand Millennium’ brand today, with the official 5-star accreditation of the Grand Millennium Beijing. The accreditation not only cements the hotel' s promise of world class accommodation to guests, but also reinforces M&C’s standing at the forefront of the Chinese hospitality industry. Never to say anything more , would rather let all these pictuers tell you the 2nd Swire Coca Cola JJ Texas Golf Scramble 2010 Xiamen Highlights. Last Saturday , ( 26Jun,2010) , a non-stop Golf fun plus night party in JJ bar in Xiamen wrote down all the fun and laughters you can have in your life. Waka Waka (This Time for Africa)(Esto es África) was officially chosen as the anthem of FIFA World Cup 2010. About this Shakira said "I am honored that 'Waka Waka (This Time for Africa)' was chosen to be part of the excitement and the legacy of the 2010 FIFA World Cup. South Africa World Cup All Schedule, Chinese CCTV will present the whole games , most of the games at2:30am and 22:00pm China Time. In Millennium Harbourview Hotel Xiamen , you will have all these , at ease. Two news , facebook overcomes google ， Apple passes Microsoft. The internet world is becoming more and more active . I checked Googel's reports on 100 most -visited sites on the web , 26 Chinese web sites found. Wow ! The excitement of the Singapore Seafood Festival that begins here in Millennium Xiamen Hotel during June 4th to 11th. Meanwhile from Beijing to Shanghai , same Singapore Food Festival launched at Millennium Hotels . Along with Singapore Seafood Festival in Millennium Harbourview Hotel Xiamen , Grand Millennium Beijing will launch the Sinagapore Seafood Festival at the same time , Jun4th- Jun 13th.